FYI from CYK. Catch up on the latest cases and events. 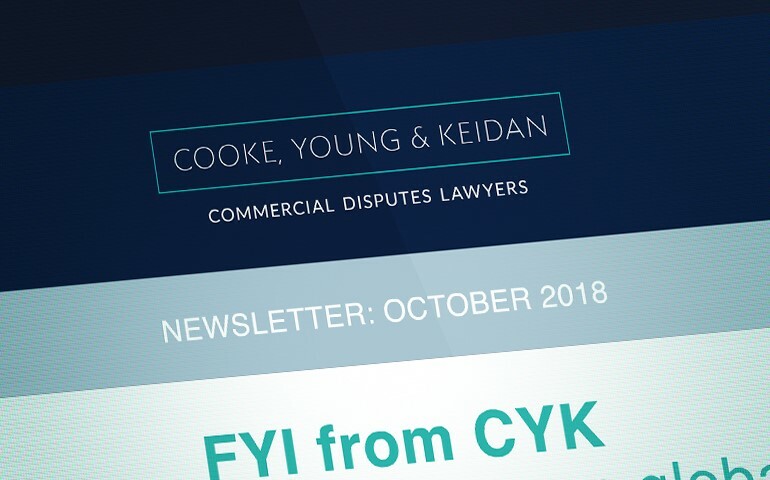 Welcome to the first edition of FYI: Cooke, Young & Keidan’s newletter. Our aim is to give you a quarterly round-up of cases that have caught our attention, plus selected news from the world of commercial litigation and arbitration, and some short updates about CYK. You can also get a snapshot of CYK in the news and a roundup of events we’re attending in the next few months.